“What do you miss about mum?” Rose (Zamira Fuller) the youngest daughter of three asks her father, Dee (Muhammet Uzuner). “I used to swim in her wake,” he says. 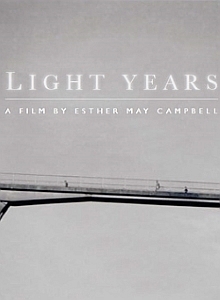 Screening in the Critic’s Week sidebar at the Venice Film Festival, British writer director Esther Campbell’s first feature Light Years (2015) is a meditation on imminent loss, absence and coping. Occasionally, moving and always attractive to look at, the film marks a promising, if not groundbreaking debut. Living in a large house in the countryside surrounded by scaffolding, Dee is having difficulty keeping his attention on the kids. The mother (Beth Orton) is confined to a nursing home with Alzheimer’s and Rose misses her dreadfully. Rose and her father agree to go and visit her mother but when the latter forgets the promise, Rose decides to set off on her own, uncertain of the way but striding across the ploughed fields regardless. Her brother Ewan (James Stuckey), alerted to her absence by her ailing rat, recruits older sister Ramona (Sophia Burton) to help find her. Ramona visits her father at work and tries to tell her father about Rose’s disappearance, but he refuses to even come to the door to see what the matter is. Absorbed by his own grief, he hardly even registers his own children, but this feels unlikely. Not impossible, just unlikely. And so Ramona, along with Ewan, will have to find Rose on their own. Light Years most resembles one of those quirky family dramedies that used to come out of Sundance with alarming regularity, buoyed by the success of 2006’s Little Miss Sunshine. The family have their obligatory eccentricities. The middle child Ewan considers himself a ‘mole’, obsessively takes notes on his bowel movements and has visions of an old man with long hair and stripped to the waist running towards him, like an athletic version of Old Father Time. The eldest, troublesome teenager Ramona is in love with a blond haired boy, with whom she briefly gets it on. Ramona inexplicably falls over all the time. Does she have vertigo, or just an inability to walk? It remains unclear. Rose is the most normal but even she has a pet rat. A little boy with a hearing aid rides his bicycle through the woods, shouting and hooting, and claiming to be in love with Rose. He disappears from the film after a while. Overburdened with these novelistic idiosyncrasies, there is a danger that they get in the way of character and strain credibility. The children don’t speak like children: they speak in script. Especially Rose who also provides too much voice-over, explaining her siblings various weirdness. Neither do they really behave like children, each with a tendency to sprawl on the ground. The young cast members move around their world largely unnoticed by adults, which facilitates Rose taking her mum out of the home. When they finally catch up with Rose and their mother, there is a visit to the beach. Nothing has really happened; no one has really learned much, but Rose perhaps has proven her maturity and Ramona realised and taken on her responsibility. And Dee has woken up to the fact he has children. The cinematography by Zac Nicholson and Will Pugh has a good eye for the English countryside in the early summer, the changing light, the hedgerows and the woods obviously but also the bus stops, car parks and industrial estates. The indie-inspired soundtrack by Eric Chenaux jangles with guitars both folksy and electric. With the reunited family stronger, they are finally ready to accept that a lasting happy-ending is unobtainable. Though Light Years’ narrative sticks to a well-trodden path, there is some promise for the future.